One of the benefits of VirtueMart is its content management possibilities. As a Joomla plugin, it has functions that can be very useful under certain conditions. As to Magento, it is known as one of the most advanced and highly functional shopping carts. So it is, probably, not easy to decide which of these platforms will suit you better. You may have chosen VirtueMart and then realized that it is not exactly what you need, so you are considering Magento instead. Or you may decide to move to Magento as your business grows and expands. In any case, you don’t have to worry about transferring your data from VirtueMart to Magento: Cart2Cart will take care of it. Magento is a powerful and feature-rich ecommerce platform with a large community of users. Its high functionality makes it possible to manage a web store of any size. If you are going to move your data from VirtueMart to Magento, Cart2Cart will help you do it quickly, easily and securely.For better convenience we recommend to watch video tutorial on how to migrate from VirtueMart to Magento. Cart2Cart migration includes several steps. 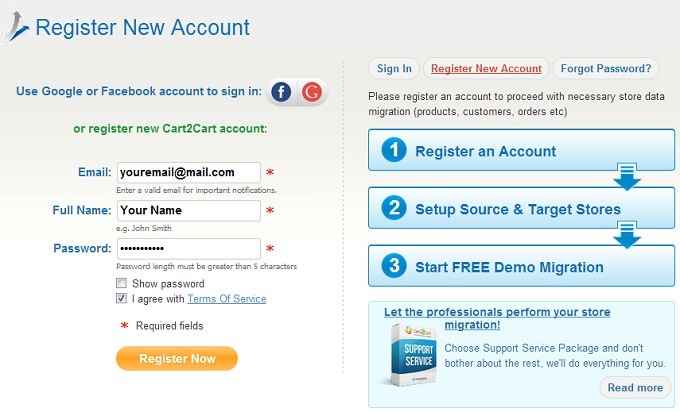 First, you will need to register a new account or sign in via your Facebook or Google profile. Before you start, both your stores (VirtueMart and Magento) must be installed and accessible online. 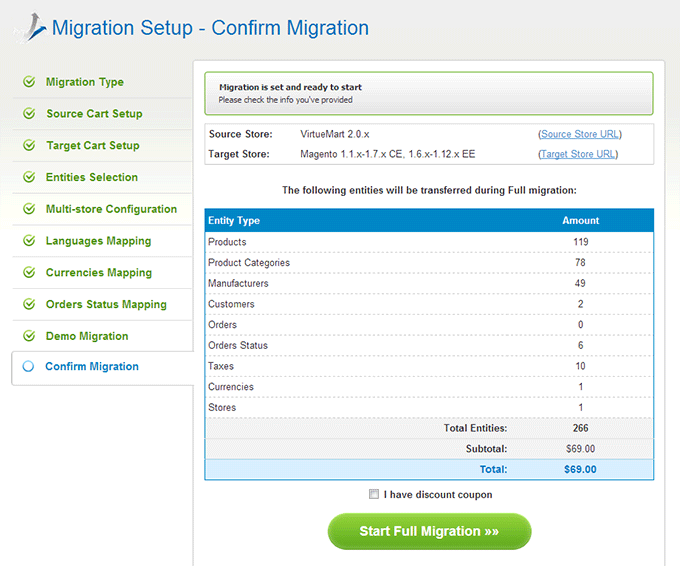 The cost of your migration can be calculated with Migration Estimator. Select the version of your VirtueMart shopping cart and enter the URL of your VirtueMart shop. 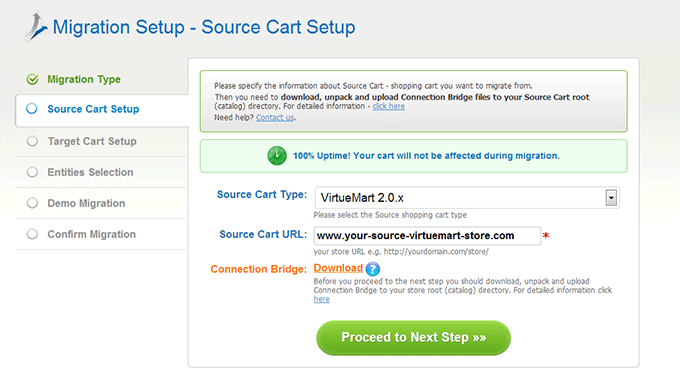 Then download Connection Bridge, unpack it and upload it to the root directory of your VirtueMart store. For more detailed information about Connection Bridge, read the FAQ. 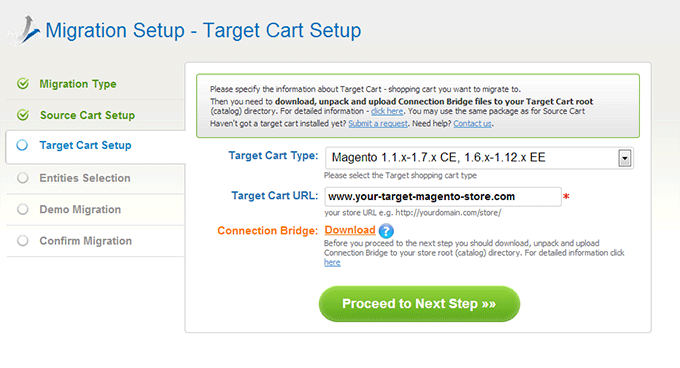 Select Magento from a drop-down menu, enter your Magento store URL and download Connection Bridge. Select the entities you would like to move from VirtueMart to Magento or choose Check All if you would like to transfer them all. Select some or all the additional options if you want. If you run multiple stores with VirtueMart, make sure that your information is going to be transferred accurately. 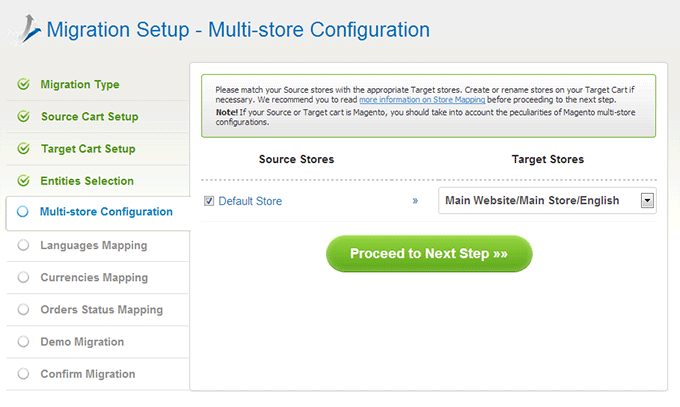 Match your VirtueMart stores with your Magento stores. 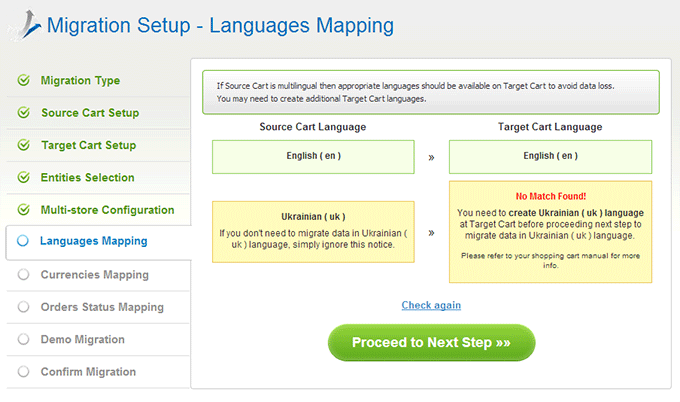 Match the languages on your VirtueMart store with the languages on your Magento store. You may need to create an additional language on your Magento store. 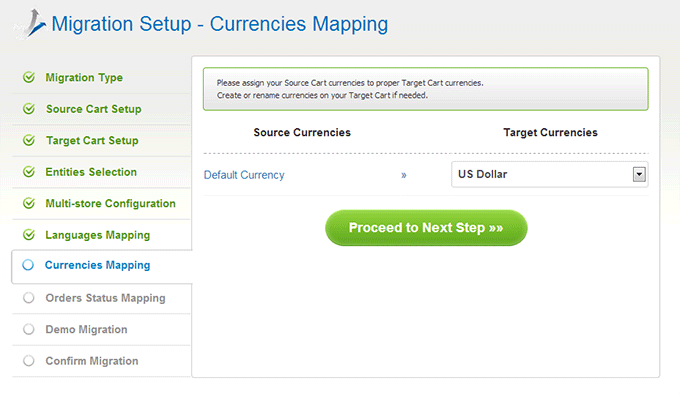 Match the currencies on your VirtueMart store with the currencies on your Magento store. 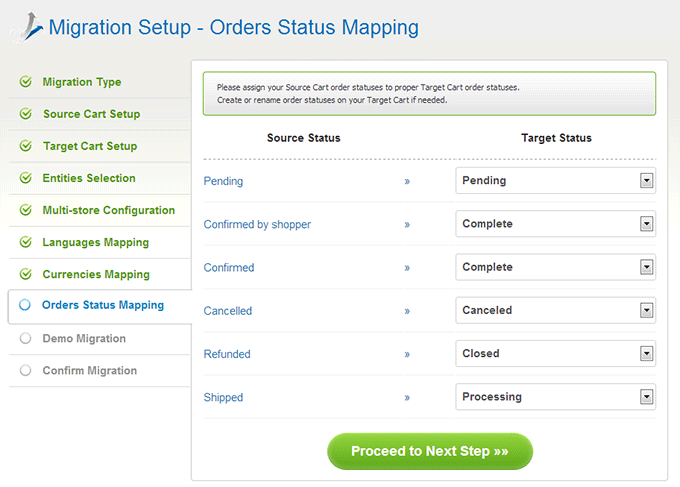 If you have selected migration of orders, match your VirtueMart order statuses with order statuses on your Magento store. 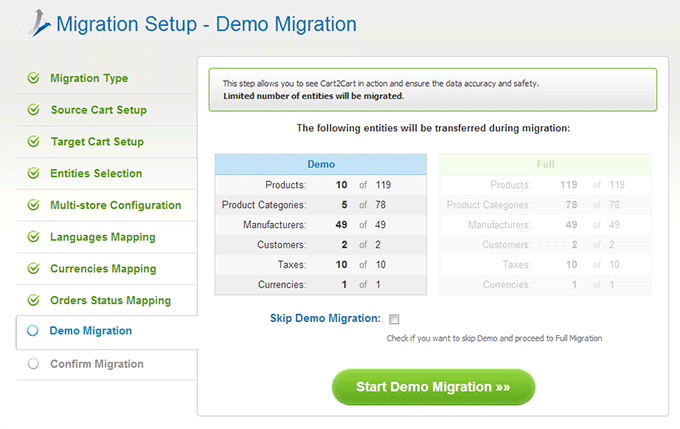 Demo Migration will show you how the service works. A part of your data will be transferred from VirtueMart to Magento for free to assure you that Cart2Cart migration is safe and accurate. You can skip this stage, but it is strongly recommended not to. When Demo Migration is finished, you can check the results on your Magento shop. Double-check your info and start the migration. You can close your browser window while your migration is in progress. 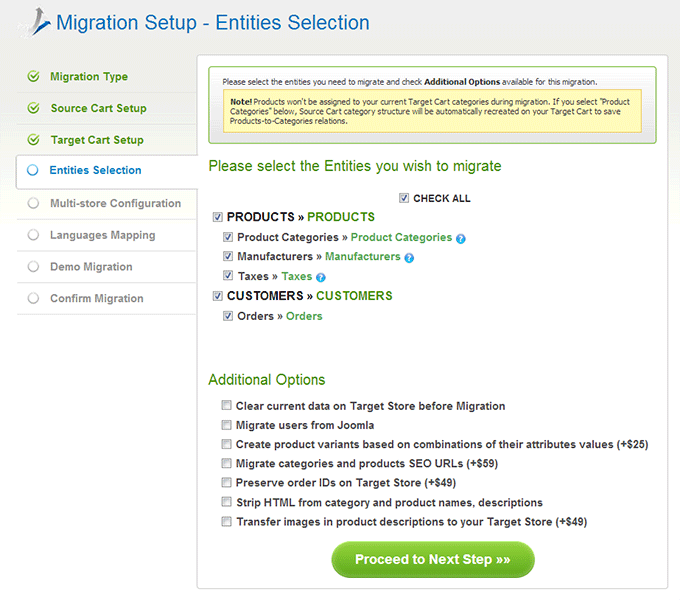 When Full Migration is completed, check its results and enjoy your information in your new Magento e-shop.